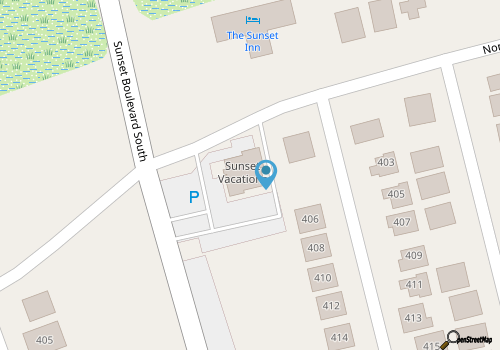 With more than 350 vacation rentals, Sunset Vacations is a fine option for visitors who want to stay in the sunny coastal town of Sunset Beach. Situated just 20 minutes north of the Grand Strand in South Carolina, Sunset Beach offers a quieter atmosphere with all the attributes that families love in a great vacation destination. Close to world class golf, gorgeous beaches, and plenty of restaurants, shops and activities, Sunset Beach and Sunset Vacations is a perfect partnership for a getaway that’s packed with Oceanside fun. Because Sunset Vacations has such a large collection of vacation rentals, visitors can find just the accommodations they require for their family size – regardless of whether a dream vacation consists of an intimate waterfront condo for two, or an eight bedroom sandcastle with plenty of modern features. In addition, Sunset Vacation also has an on-site real estate sales team to assist buyers and sellers with all of their real estate ambitions along the Brunswick coastline. From staying in the stunning Sunset Beach area for a few days or a couple weeks, to purchasing a primary or investment home to treasure for a lifetime, Sunset Vacations has everything that coastal fans need to enjoy miles of sandy fun.